The RHN family came together this week to bid Lolo Leyenda farewell after over 45 years’ service as the catering storeman. In that time Lolo ran over 30 marathons for the RHN, fundraising over £125,000 with his great friend, resident Deirdre Tydd (above). Lolo was presented with gifts, and chief executive, Paul Allen, made a speech highlighting Lolo’s exceptional service, with only one episode of sickness. One of Lolo’s highlights was when he was torchbearer for the Paralympics London 2012. 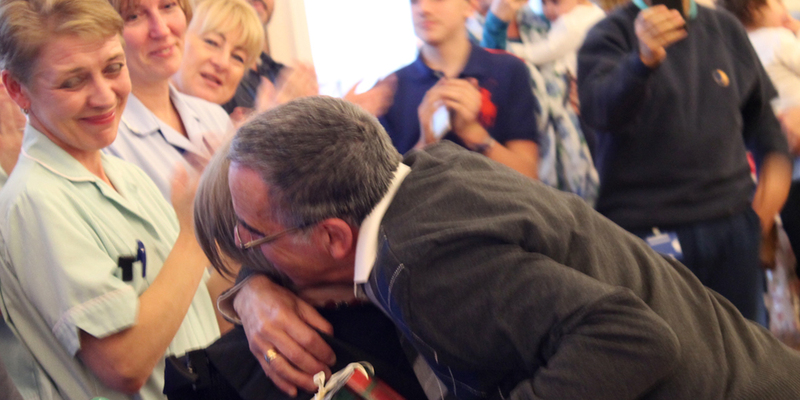 Lolo and his wife are retiring back to Galicia in northern Spain, where Lolo plans to run along the coast in training for the London Virgin Marathon that he is running next year for the RHN.